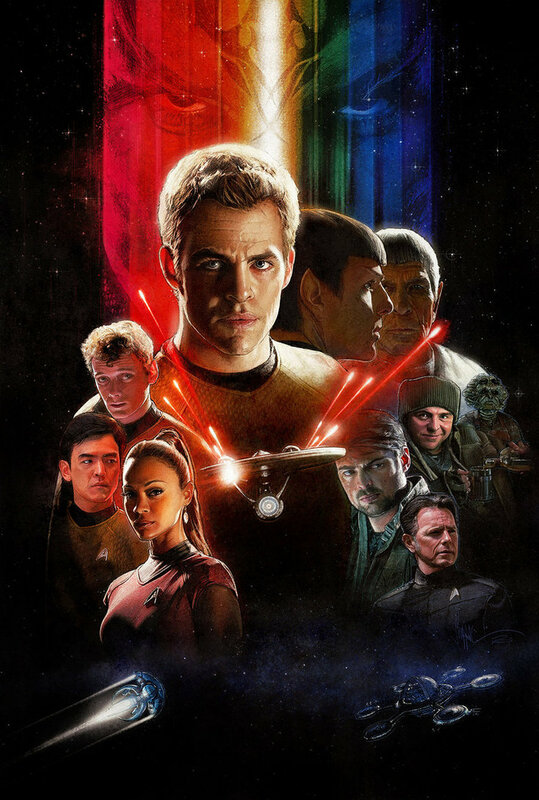 Brief Synopsis – A reboot of the franchise depicting a starship commander and his crew a few hundreds years from now as they try to save Earth and its allies from an unknown enemy. My Take on it – This movie is high among my favorites because it was able to take something that we all know and love, turn it on its head by bringing in new actors to portray ALL of the well established iconic characters, modernizing it all and still keeping alive the reasons that so many people have loved the franchise from its inception 50 years ago. I still recall my thoughts and feelings of seeing this in the theater 7 years ago twice because it was such a thrilling movie experience. The subsequent times at home have been almost equally as thrilling and it’s always fun revisiting these characters and situations. This time, I actually got two of my sons to watch it with me for the first time and they both really enjoyed it very much. My hope is to watch the sequel with them before the third film arrives here later this week so I can also take them to see it with me in the theater too. Chris Pine and Zachary Quinto are both superb here as Kirk and Spock and in some ways I even like them more than the originals despite the fact that they are obviously using the original performances as a basis for their performances. The rest of the crew was chosen quite well because all of the actors are quite reminiscent of the originals ones but at the same time are able to bring us something new and exciting to their performances. As you all know, I’m a HUGE fan of the Star Wars series, but I also am a big fan of this series and I don’t see them as a choice of one or the other; One is a sci-fi adventure taking place in another galaxy far far away and another takes place in our own future. There’s absolutely nothing wrong with loving both franchises and those who think its either or/are truly missing out. Love the music here. They found a way to update it without losing any of the original flair. Bottom Line – This was amazing seeing in the theater and quite enjoyable at home too (Even as a 7th viewing). So much fun finally exposing my sons to the film franchise. Pine and Quinto do amazing jobs as the new Kirk and Spock while the new versions of the rest of the crew both are reminiscent of the original actors but also all bring along something new. Can’t wait to continue watching this series with my kids. Highly Recommended!